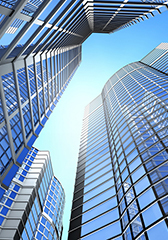 We offer an extensive array of testing capabilities for material characterization and performance monitoring of a wide range of building technologies. 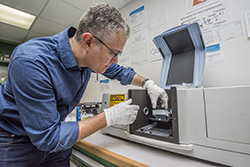 The Building Technology and Urban Systems Division at LBNL has an extensive array of testing capabilities for material characterization and performance monitoring of a wide range of building technologies. 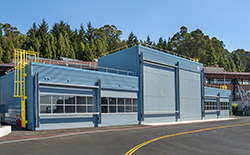 Berkeley Lab offers FLEXLAB®, a set of testbeds and simulation platforms for research, development, and demonstration of low energy building technologies, control systems, and building systems integration. Spectro Radiometer: Measures the light output of a light source at each wavelength. 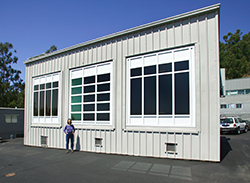 Advanced Windows Test Facility: Tests new window technologies for energy savings and occupant comfort. 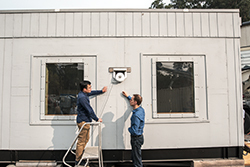 This multi-room laboratory simulates real-world office spaces and measures the performance of commercially-available and prototype window systems such as electrochromic windows and automatically controlled shutters and blinds. Dektak 150 Surface Profiler: Measures the thickness and deposition rates of thin films grown in our coating lab. 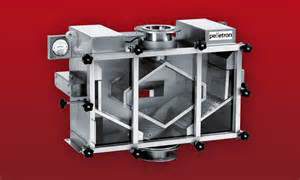 Pelletron: An electrostatic ion accelerator made for ion beam analysis of materials. Coating Lab: Contains chambers for growing thin film window coatings. 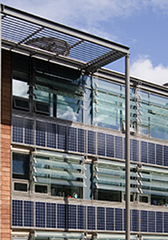 Solar Control Thin Films Laboratory: Develops novel thin film coatings, deposition technologies, and device systems for next-generation, energy-efficient windows. 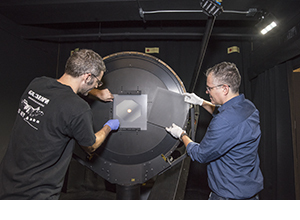 Advanced Light Source (ALS): A particle accelerator that generates bright beams of x-rays for scientific research in biology, chemistry, physics, materials, energy, and environmental science. 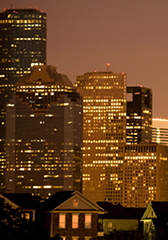 This national user facility attracts more than 2000 researchers and students annually from around the world. National Energy Research Scientific Computing Center (NERSC): One of the largest facilities in the world devoted to providing computational resources, NERSC is a world leader in accelerating scientific discovery through computation. 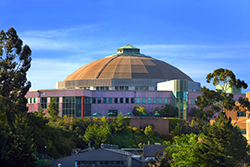 NERSC is the primary scientific computing facility for the Office of Science in the U.S. Department of Energy.